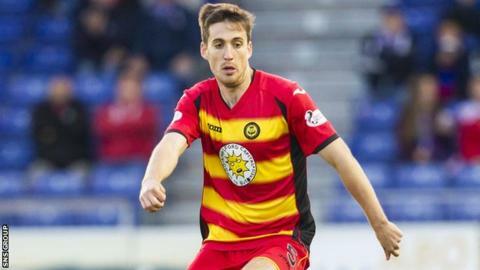 Defender Callum Booth has signed up for another campaign with Partick Thistle. The one-year extension was triggered by the full-back playing his 25th game of the season in the 1-0 win over Motherwell on Tuesday. The 24-year-old joined the Premiership club permanently in the summer, having been on loan from Hibernian for the second half of last term. He has been ever-present in Alan Archibald's side this season, playing every minute so far.